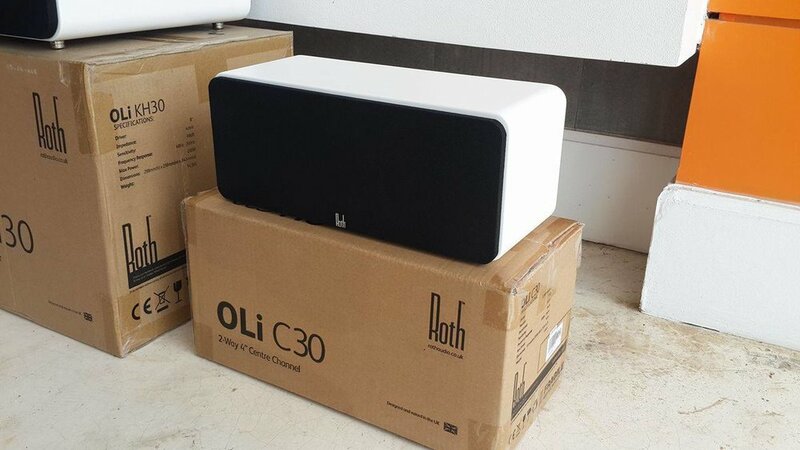 We love the Roth Speakers here at H3 Digital so were more than a little excited when our latest shipment turn up at our Phuket Office. Shipment of new Stereo and Surround Roth Speakers (and Subs) at our Phuket Office. We've been listening to the Roth Range and were so impressed with the stereo pairs that we ordered in some Centre Speakers, surround speakers and Subs to try - In both black and their beautiful white finish that I'm a big fan of. Here the speaker family is in White, fully clothed. And naked, these speakers are stunning to look at and even better to listen to. The speakers are gorgeous and we already know they sound great, looking forward to putting these into some home cinema surround sound systems very soon. 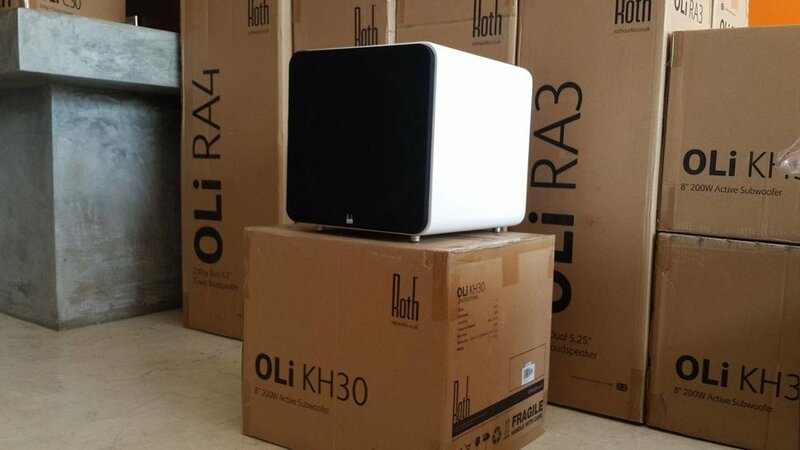 Above pictured is the Roth Oli KH30 Sub, 2 Roth Oli RA3 floorstanding speakers, the Roth Oli C30 centre speaker and the diminutive Roth Oli RA1's that won a coveted 5 Star Review from British magazine What Hifi. The range of Roth speakers is available throughout Thailand through our network of dealers, here in Phuket if you are looking for a surround sound or stereo set then contact us, Creative in Samui and SSS in Hua Hin are able to demo, sell and install these also.